lemmiwinks don't go back in! is that mustard? or rat urine...? 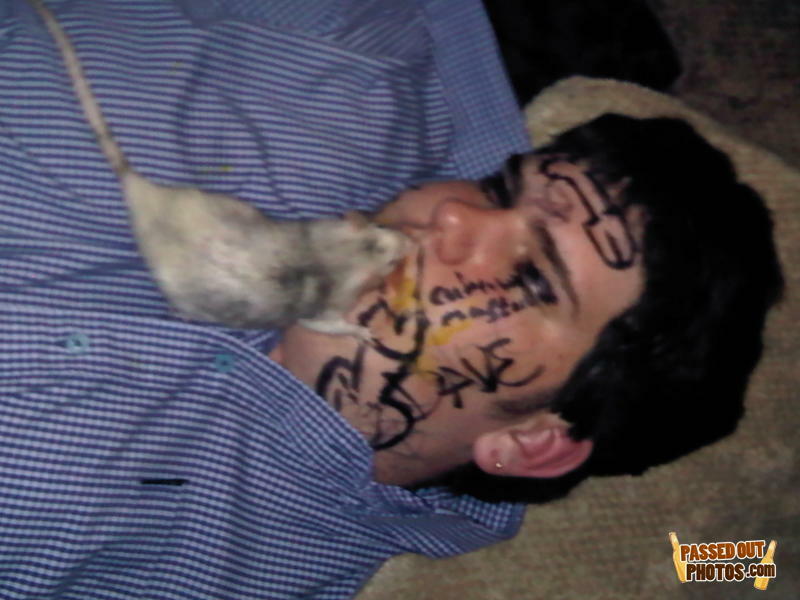 Um... Dude, you kinda got a rat on your face...It might have rabies. OMG!! Is that josh from "rake and josh"? Time for another RECIPE FOR A PRANK!! all you need is... 1.Your friend... 2.a marker. 3.A FAKE MOUSE!! Now,write anything you want on your sleeping friend's face!then,put the fake mouse on his mouth...ta-da! now you have a silly prank stted up for your sleeping friend! what do you call a guy that has a mouth, but cannot speak?